RSA’s UK division made an underwriting profit of £12m in 2015, three times the £4m it made in 2014. The unit’s combined operating ratio (COR) improved by 0.4 percentage points to 99.5% (2014: 99.9%). Net written premiums increased by 2% to £2.61bn (2014: £2.5bn). The improvement came despite a £134m claims bill from December storms Desmond, Eva and Frank. Weather claims added 6.5 points to the COR (2014: 3.8 points). As a group, RSA incurred £76m in claims from storms across the UK, Ireland and Scandinavia after making recoveries from its group reinsurance programme. Operating profit increased by 7.5% to £147m (2014: £136m) as the improved underwriting profit added to a 2.3% increase in investment income to £135m (2014: £132m). While most of RSA’s business lines showed an improvement in underwriting profitability (see table), motor continued to be a challenge for the insurer. The personal motor COR jumped by five percentage points to 107.8% (2014: 102.8%) and the commercial motor rose by four percentage points to 99.1% (2014: 95.1%). RSA said controllable expenses in the UK division were down 4% year on year and there was a 6% reduction in full-time employees. 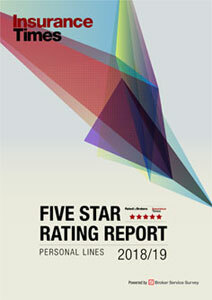 RSA’s UK personal lines business improved its COR by 0.4 points to 95.9% (2014: 96.3%). Net written premium fell 3.6% to £1.13bn (2014: £1.18bn). Motor premiums were down 6% as the company’s exit from broker personal lines motor offset “strong rating action” and growth in telematics. Pet growth of 6% was driven by rate increases to cover claims inflation. 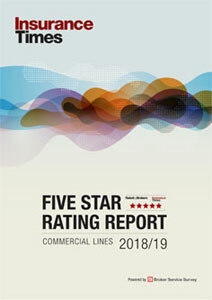 RSA’s UK commercial lines business improved its COR by 0.3 points to 102.3% (2014: 102.6%). Net written premiums increased by 5.7% to £1.47bn (2014: £1.39bn). The growth was driven predominantly by growth in commercial property and commercial motor, where the Motability business, RSA’s largest commercial motor client, continues to shift to the new contract. Looking forward, RSA said: “The competitive landscape in the UK will continue to be challenging. We have ambitious plans to transform the UK business. “We have commenced the implementation of a new UK operating model including revised contractual terms with our major suppliers, optimisation of site footprint, process redesign and investing in new technology.